We will send out a licensed inspector, usually at NO COST to you, who will perform a thorough inspection of your property, looking for evidence of pest problems. The inspector will identify pests or evidence of their presence, and will then determine a treatment strategy that best fits your needs and circumstances. He will then recommend that treatment strategy, along with any options, that will serve to eliminate or reduce the pest population, as well as provide measures that will help prevent a recurrence or return of the target pest. He may also recommend preventive treatment for other pests that may occur in the future. Finally, if you choose to proceed with his recommended plan, we will schedule an initial treatment, and determine a recurring schedule that is convenient for you. 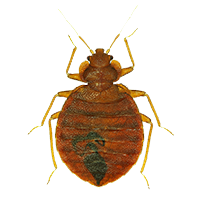 Bed bugs are becoming an epidemic these days. Make sure you protect yourself and your home, and if its too late, call the professionals to get rid of them. We DO NOT give you any kind of hype or high pressure. Instead, we provide information and our assurance that the problem can be effectively solved using our recommendations. We usually do not give exact quotes over the phone. Properties range in size from several hundred to several thousand square feet, and from one to three or more floors. Every home is unique, with landscaping, water issues, and siding differing greatly. Your pest problem is unique as well, so we tailor a solution that fits your needs, not everyone else’s. You are really cheating yourself by price-shopping over the phone. Would you buy a pair of glasses, or a sofa, or get an estimate to have your house painted over the phone? Of course not! You deserve custom care and attention by a trained professional who is concerned about your needs. Why settle for a “range of prices” or a flat quote, then have it changed when the technician says, “Oh, I didn”t know your home was so big, or had so many problems, or any of a number of excuses? To get started right away, you can call us at 330-494-6199 or click here to send us your information via e-mail. All you need to do is enter your name, address and phone number, and we will get back to you right away.